David Arthur, CEO of Salarius Pharmaceuticals, discusses the enrollment in a Phase 1 trial for their lead program which is for the treatment of Ewing Sarcoma, a devastating pediatric illness whose current treatment is chemotherapy, radiation and/or tumor resection. David Arthur is a senior life sciences executive with 25+ years of US and global experience building and leading medical and marketing organizations in product development; launching and managing pharmaceutical and device brands. Prior to accepting the role as Chief Executive Officer Salarius Pharmaceuticals, David was Managing Director Dacon Pharma, LLC. Additionally, David spent 20+ years with Eli Lilly and Boehringer-Ingelheim in executive roles managing product development, business development, US business, global commercialization, European regional marketing and financial planning/analysis. Mr. Arthur earned a BS in Chemical Engineering from North Carolina State University, a Masters of Business Administration from the Duke University Fuqua School of Business, is a licensed Professional Engineer and Six Sigma Green Belt. Neal Howard: Hello and welcome. I’m your host Neal Howard here on Health Professional Radio, thank you for joining us once again. Our guest on the show today is Mr. David Arthur, he’s CEO of Salarius Pharmaceuticals and he’s joining us here on the program to talk about the enrollment in a Phase 1 Trial for their lead program which is for the treatment of Ewing Sarcoma. Ewing Sarcoma is a devastating pediatric illness whose current treatment is chemotherapy radiation and/or tumor resection. Welcome to the program David Arthur, thanks for taking the time this morning. David Arthur: Well thank you for inviting me Neal. Neal: Well give us a bit about yourself. So you’re CEO of Salaris Pharmaceuticals, are you a medical professional who’s gone into pharmaceuticals? What’s your background briefly? David: Well Neal, I’m a career pharmaceutical executive. I am an engineer by training with an MBA and after graduating Business School, went to work for Eli Lilly and then after that, spent a few years with Boehringer Ingelheim and during that career, had a number of fantastic roles with both companies but settled into an area that people referred to as product development and product launch and really found that to be an exciting area because it gives you the opportunity to develop and introduce new medicines to help people. Neal: So is this the first pharmaceutical company that you’ve been the head of? David: Well it’s the first biotech I’ve worked with and this is my first CEO assignment. It has been just an amazing adventure, a great journey and there’s more to come. Neal: Now Salarius is as I said, it’s pharmaceutical company. Your company is enrolled in a Phase 1 Trial for the treatment of Ewing Sarcoma. What is Ewing Sarcoma? David: Well Neal I’m glad you asked and you touched on this in your introduction. Ewing Sarcoma is a devastating pediatric and young adult bone cancer. And as you mentioned, there are currently very limited treatments. In fact, there are no approved targeted treatments for Ewing Sarcoma so these children and young adults are initially treated with adult chemotherapy medicines, sometimes and actually most of the time radiation and unfortunately in many cases surgical resection of both the tumor and often time the bone. So you can imagine the standard of care that is available to these folks is just devastating all on its own. Now the even more difficult part of the disease is even when this initial therapy works, you can imagine the long-term physical and mental and emotional consequences developmentally of these kids. So we are partnering with the National Pediatric Cancer Foundation whose mission is to develop less toxic treatments for kids and so our Ewing Sarcoma study takes the patients who have either failed to respond to this initial treatment or have relapsed and we are hopeful that we’ll be able to make a big impact on these kids and young adults and the progression of their disease. And the reason this is so important is if you relapse or fail to respond to initial therapy, you’re looking at about a 70 to 80% 5-year mortality rate. It’s just a devastating disease and we really hope that we’re going to be able to make a difference in the lives of these patients and their families. Neal: Because it’s a cancer of the bone, are there specific groups that had attacks or is all bone tissue fair game for this cancer? David: Well typically and you can never make broad-based statements but Ewing Sarcoma many times begins in the leg or maybe the arm. But the devastating part of the disease is the spread, as is the case with many cancers. The primary tumor will generally begin in the bone and then it begins to spread to other parts of the body and that’s where the progression takes place and that’s usually the most devastating part of the disease. Neal: Have you been involved or are you aware of what causes this? Is it a genetic thing, is it environmental? What causes this type of cancer in the young and the young adults? David: Neal, that’s a great question and luckily there’s a tremendous amount of information and just some tremendous research that’s been done by the medical community in Ewing Sarcoma so it’s a fairly well understood illness which makes the possibility of treatments all that more promising. So what happens is the body incorrectly reads healthy genes and because of incorrectly reading them, the body will take two proteins, it will break them into pieces, it shouldn’t happen and join two halves of proteins that never should be going together and that’s called a translocation. This translocation of halves of two separate proteins that should not be joined together creates what’s called an Onco protein as in oncology and they’ve been growing Ewing Sarcoma tumors. Now if there can ever possibly be good news when you’re talking about an illness like this is because the cause is didn’t have the opportunity for treatments or the development of treatments and the research of new treatments is strong. Now we haven’t found anything yet but we think we’re on the right track. Neal: Currently your company is involved in a Phase 1 Trial for treatment of Ewing Sarcoma. Tell me a little bit about your lead drug that you that’s going to be in this Phase 1 Trial. David: So our lead drug is Seclidemstat and I really want to give a quick shout out to the Huntsman Cancer Institute in the University of Utah specifically Dr. Sunil Sharma and Dr. Steven Lesnick, both of whom, well they were researchers at the Huntsman Cancer Institute and they’ve moved on to bigger positions at Nationwide Hospital and TGen down in Phoenix, Arizona and these two individuals were instrumental in identifying an enzyme called LSD1 as a target, and I’ll talk to you in a moment about that and then Dr. Sharma’s lab was instrumental in identifying drugs that could impact that enzyme. So to take a very complicated story and I have to share with you I’m not a clinician so I like to talk about this in broad terms. To take a very complicated story and tell it in a sentence or two, this translocation that I talked about, we believe requires the LSD1 enzyme in order to send its messages to the body so we believe we have a drug, Seclidemstat, that is going to inhibit that enzyme from taking its action. So we’re effectively cutting off the communication channel between this Onco protein, this translocation translocated oncoprotein and cutting off its communication pathway and without that ongoing signaling, the Ewing Sarcoma tumors at least in animal models stops growing. Well it starts growing at a much slower rate, it plateaus and then begins to melt away and we’re hoping that we’re going to be able to repeat or duplicate some of those results in our human trials. Neal: In wrapping up, do you have any idea how many people will be participating in these trials? David: We do. So a Phase 1 clinical study is all about safety, doing no harm is paramount so the initial study is probably about 30 to 40 patients and we will approach this study or we are approaching with study, the study is active in two parts. The first part is called ‘dose escalation,’ so we will be treating patients at a dose and making sure that our advisors approved that that dose is safe and then we’ll move to the next higher dose. And once we’ve established what’s called the maximum tolerated dose, we will then add more patients to the study in what’s called the ‘dose expansion’ study and that will allow us to treat a broader group of patients for a longer period of time and further populate and expand our safety database. Now in these trials, these are what’s called open labeled trials which means patients do have the disease and we are treating them so with a little bit of luck and a little bit of hope, we may actually begin to see the possibility of some initial patient responses so we’ll just have to wait and see what happens. Neal: Well sounds promising and exciting and hopefully bringing a lot of hope to some of these patients. Are you aware of how many kids are suffering from this type of cancer in the United States? David: We have some information on that. About four to five hundred new patients are diagnosed each year in the United States and now that’s an incredibly small number and what many people don’t know is that in the United States, there are only about 16,000 childhood cases of cancer diagnosed each year. So while these are devastating illnesses with our youngest patients who have their whole life ahead of them, unfortunately these are not the big multi-billion dollar indications that many people like to explore from an investment perspective which is why the support that we receive from foundations and in our case the state of Texas through their Cancer Prevention and Research Institute makes our development efforts possible. So to get back to your question, it’s not a large group of people. We are a rare disease, we’re an orphan disease, the FDA has already recognized us as an orphan indication. So overall, they’re probably somewhere between five and ten thousand patients overall in the United States. Those numbers are really hard to come by but we’re focusing on the ones that we know about that are diagnosed and are currently struggling with their treatment. Neal: Well where can our listeners go and learn some more about Salarius and your clinical programs? David: Well they can go to salariuspharma.com which is our website. 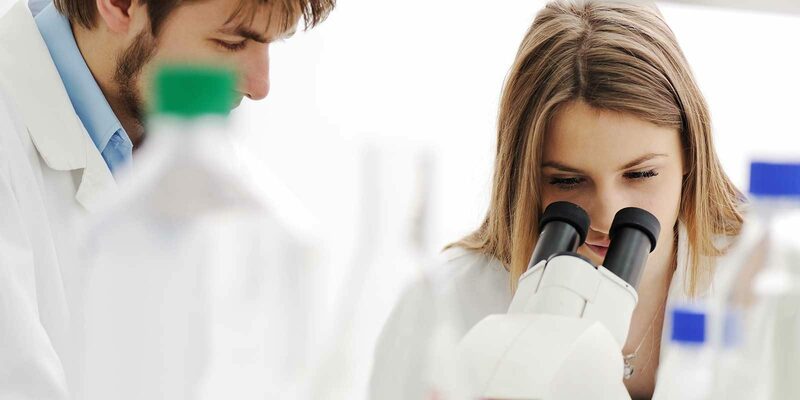 We have information on the company and links to information about our clinical trials, which also contains the sites where we’re conducting these trials and the investigators that they can reach out to if they have further interest. Neal: Great. Well David I thank you for joining us on the program, lots of great information and I’m wishing you all the best in your trials obviously and for the patients as well. David: Well thank you Neal and it’s been a real pleasure to be here.